Opening Day is somewhat of an unofficial holiday here at Bows & Boats. Sure, Spring Training has been a small help in giving us our baseball fix, but come this afternoon the games will actually matter. While baseball might not be as fast paced as a basketball or football game, there isn’t much better than spending an afternoon, or evening, at the ballpark with friends and family. Of course, you are going to want to show your support for your favorite team, but if you are looking for something that it is a bit less obvious than a jersey or hat, take a look at the MLB Canvas Club Belts ($49.50) by Vineyard Vines. From boatshoes, to loafers, to yesterday’s post about Navajo Flats, most of the shoes we have profiled on Bows & Boats tend to be best suited for a more casual environment. 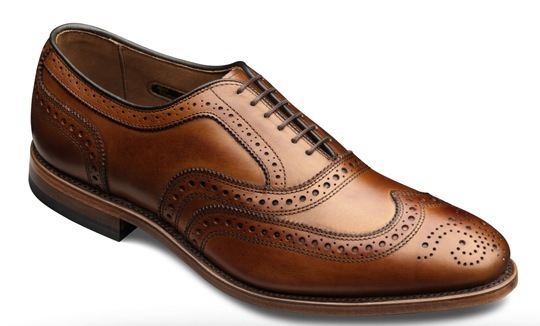 For those of us that are trying to break the monotony of simple cap toes in the office, a classic pair of wingtips is sometimes the perfect way to spice things up a bit while still maintaining a professional look. The McAllister ($325) by Allen Edmonds is the perfect example of a shoe that fits in perfecly in the boardroom while still being a bit different than your typical dress shoe. Inspiration for a look can come from just about anywhere. It might come from a memory of a trip abroad, a glimpse of a well dressed stranger walking down the street, or the picture of a public figure splashed across the pages of your favorite magazine. 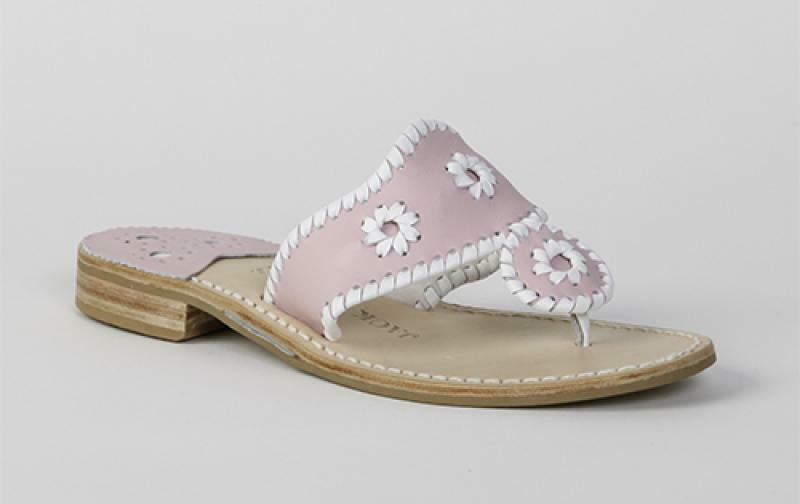 One public figure that is still inspiring the fashion of women around the world years beyond her days in the spotlight is Jacqueline Kennedy, and her love for the Navajo Flat ($98-$148) helped Jack Rogers become the brand we know today. 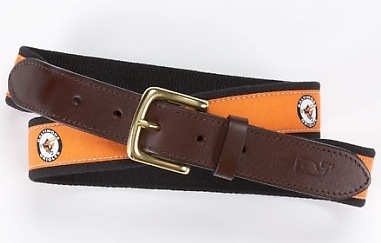 We’re always looking for the perfect belt for certain clothing combinations. Apparently we’re not the only ones. The guys over at Inventory Magazine have been on the same hunt. It turns out that they might even be better hunters than us because they managed to track down these Deadstock Swedish Army Belts ($75). Whether it is the result of an extra aggressive Friday night, or just a long week in the office, sometimes you need to spend a Saturday on the couch recharging your batteries. Of course, comfort is of the utmost importance on days like this, and there aren’t too many things that are more comfortable than a great pair of sweatpants. 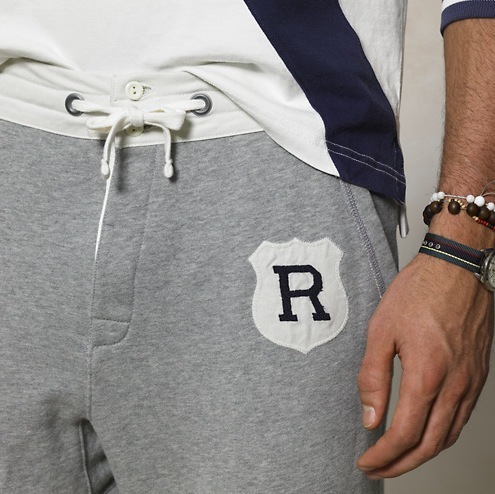 If you are looking for some new sweats to lounge around in, take a look at the New Kingston Shield Pant ($79.50) by Rugby. When you prefer brands that aren’t readily available at the local mall, a quality men’s store is a necessity. While you can always find what you are looking for online, the ability to actually try something on and really see what it looks like in person is crucial if you are on the fence about an upcoming purchase. Since we are close to both Washington, DC and Baltimore, there are plenty of great men’s stores for us to choose from. 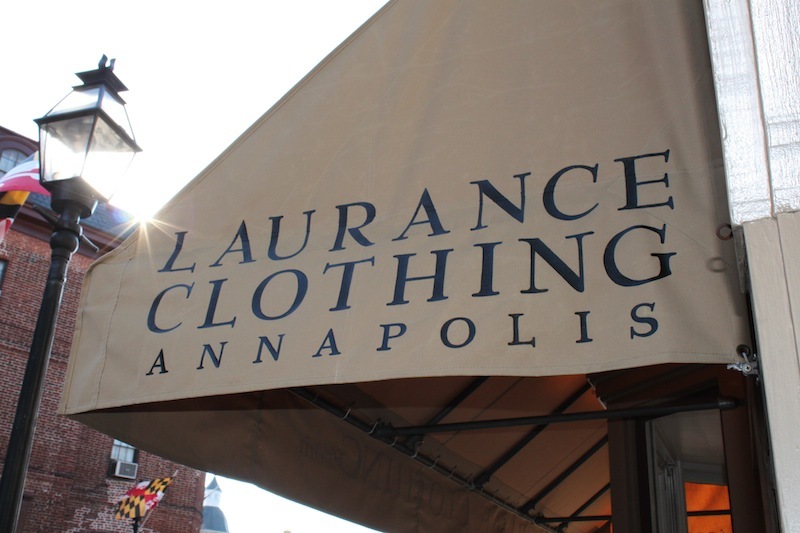 That being said, one of our absolute favorites is Laurance Clothing right here in Annapolis, MD. There are certain pieces that no man should be without. For example, a blue blazer, a perfectly worn pair of jeans, and a basic pair of chinos are all things that are on that list. With rain showers becoming a bit more frequent, another item that will always come in handy, and should definitely be on your “must have” list, is a well made trench coat. The Trench ($185) from L. L. Bean Signature is a great option if you are looking for a trench that will last for years, but won’t break the bank. We’ve featured a couple of men’s items from J. Mclaughlin in the past, but, recently, they gave us the opportunity get hands on with some pieces from their Women’s Spring line that will be hitting your local retailer soon. 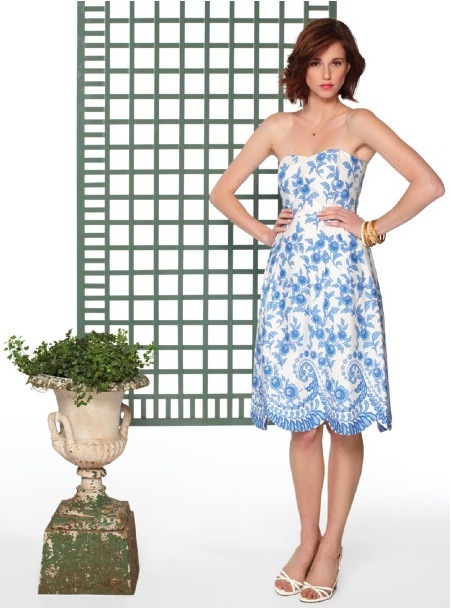 One piece that really stood out was their Malibu Sweetheart Scallop Dress ($225). While the standard “little black dress” is a great “go to” for events all year round, we tend to like lighter colors when events and weather will allow. So, if you are on the market for a new dress for the upcoming seasons, the Malibu Sweetheart from J. McLaughlin should absolutely be on short list of options. Polos, polos, and more polos. Every time we turn around there is another polo shirt that we fall in love with. Even though our closets already look like a color wheel with basically every color out there, it seems like there is always one more polo that we “have to have”. That being said, with so many great choices you really can’t have too many polo shirts. 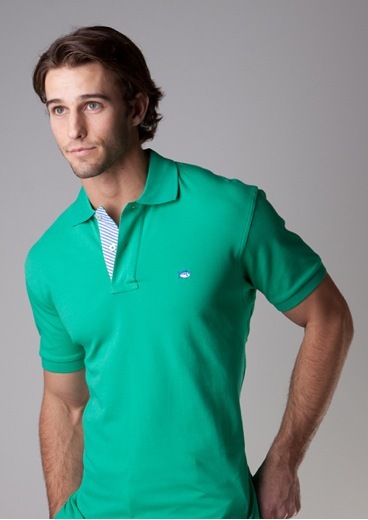 This week, that “must have” polo comes from our friends at Southern Tide in the form of their Seersucker Polo ($78). Months ago we talked about Southern Proper’s Sweet Tees. The comfortable tees have timeless designs that look great on those days that you don’t feel like wearing a collar. 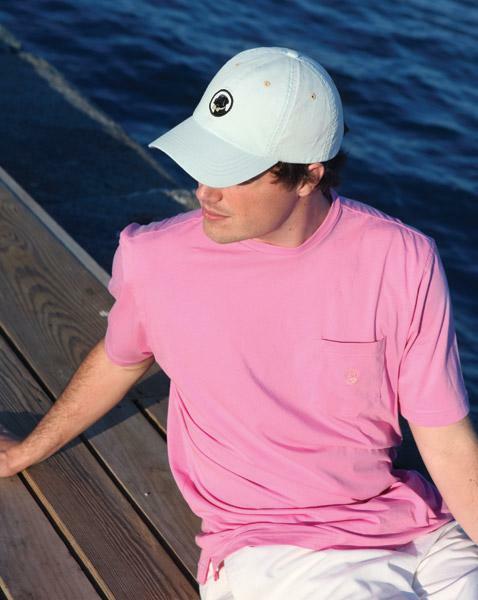 For their Spring 2011 line, Southern Proper has released a new spin on their Sweet Tee ($30), and we absolutely love it.